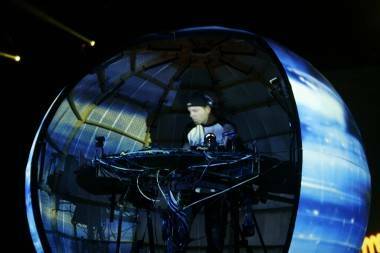 DJ Shadow returns to Vancouver for a show at the Commodore Ballroom April 24. In conjunction with Live Nation we have a pair of tickets to give away. Shadow’s most recent album is 2011’s The Less You Know, the Better. The last time played the Commodore he was in a giant spinning orb. This entry was posted in Contests, Features, the latest and tagged Commodore Ballroom, contests, DJ Shadow, Vancouver. Bookmark the permalink.